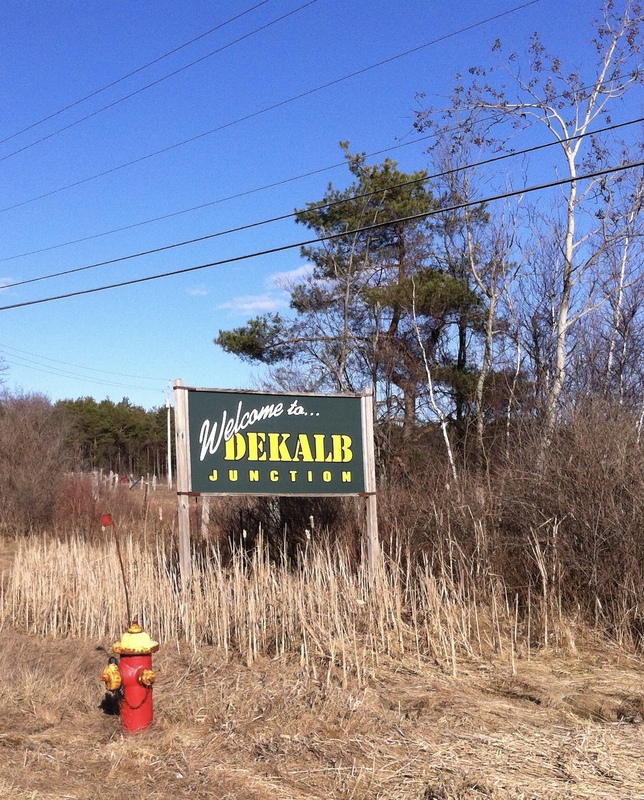 We loaded up on snacks and headed out on the 5-hour road trip to Ottawa, although I did convince Chad to make one brief detour along the way: the neighboring villages of DeKalb and DeKalb Junction, situated about 30 minutes from the Canadian border. 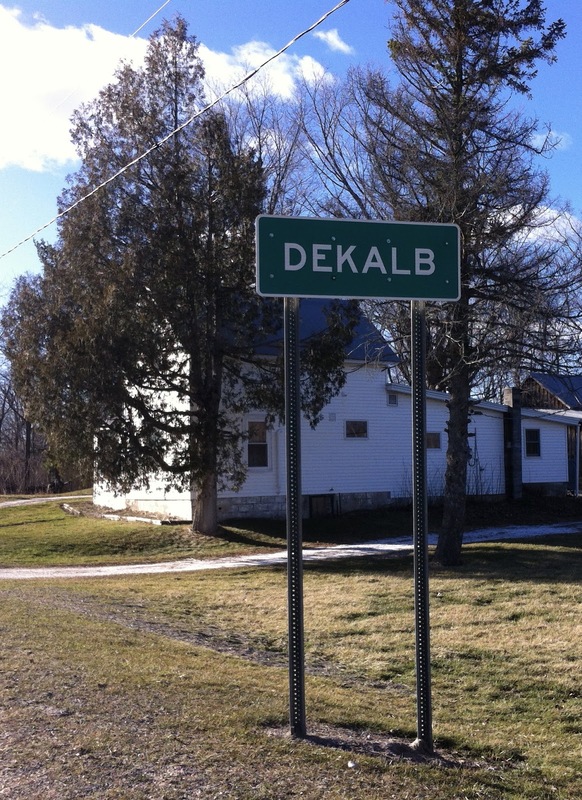 I'm always intrigued by the towns that share my last name, so I knew I had to see both of these tiny hamlets, considering the odds of any possible return would be fairly slim. From there, we quickly made our way to the town of Ogdensburg, which would lead us across the St. Lawrence River to Ontario. Next stop: Canada! 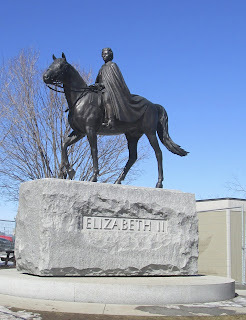 We passed through the border checkpoint and continued on our way to Ottawa, arriving just as the sun was setting on a particularly cold evening. 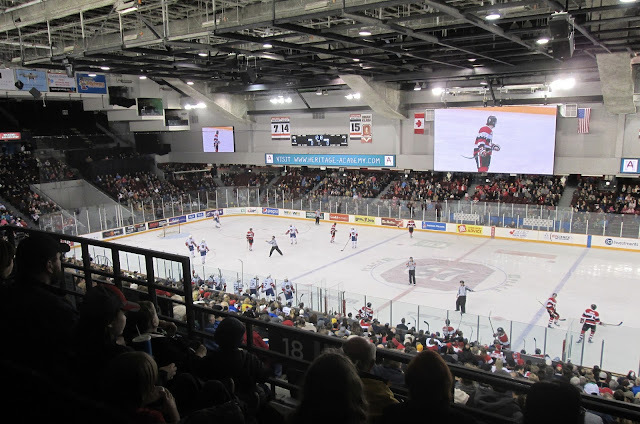 The first game of the trip would be an OHL matchup featuring the host Ottawa 67's facing off against the Hamilton Bulldogs. Kat then took us over to Jack Astor's for some late-night grub, introducing us to another couple (Mark and Laura, both awesome as well), and the five of us spent the next couple of hours swapping stories over dinner while watching the NCAA Basketball Tournament. We finally checked into our Airbnb just after midnight, bracing ourselves for the wintry impact coming the next day. Yeah, it was cold. REALLY cold. I don't remember what it was in Celsius, but it was 18 degrees Fahrenheit for our one extensive day of sightseeing in Ottawa. EIGHTEEN DEGREES. I bought a t-shirt at the 67's game, which served as one of the five layers of clothing that I would be wearing as we walked around Parliament Hill in downtown Ottawa. Frigid as it may have been, I still enjoyed myself as we covered every inch of the historic area, admiring the many statues before venturing to the nearby Byward Market for additional shopping. We wrapped up our visit with a tour of the Centre Block of the Parliament Building, and a trip to the top of the Peace Tower for a panoramic view of the city. From there, we made a quick stop at home before heading to Kanata to see the Senators face off against their rivals from Montreal. 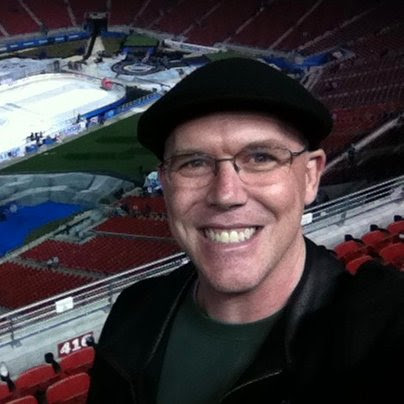 My friend John Barr, who runs the terrific NHL To Seattle blog, was challenging his followers to take a picture outside of each NHL arena while wearing a shirt to promote his website. 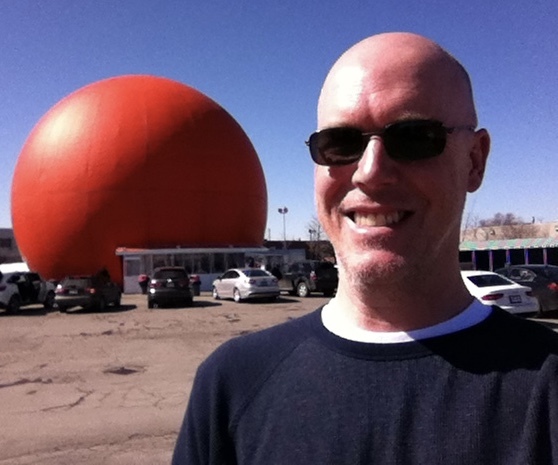 No one had signed up for Ottawa, so I volunteered - and yes, I bundled back up as soon as the photograph was taken and ran inside the arena to keep warm! I quickly understood why the fans in Canada's capital have been endlessly clamoring for a new downtown arena: driving out to the suburbs was somewhat time-consuming, and there was virtually nowhere near the arena to relax before the game. But there was certainly a buzz outside, with plenty of visiting Canadiens fans ready to cheer on their team. Since we hadn't had time to eat anything during our sightseeing (or maybe we were just too cold and didn't want to stop moving), we quickly hit the concession stands when we got inside Canadian Tire Centre. 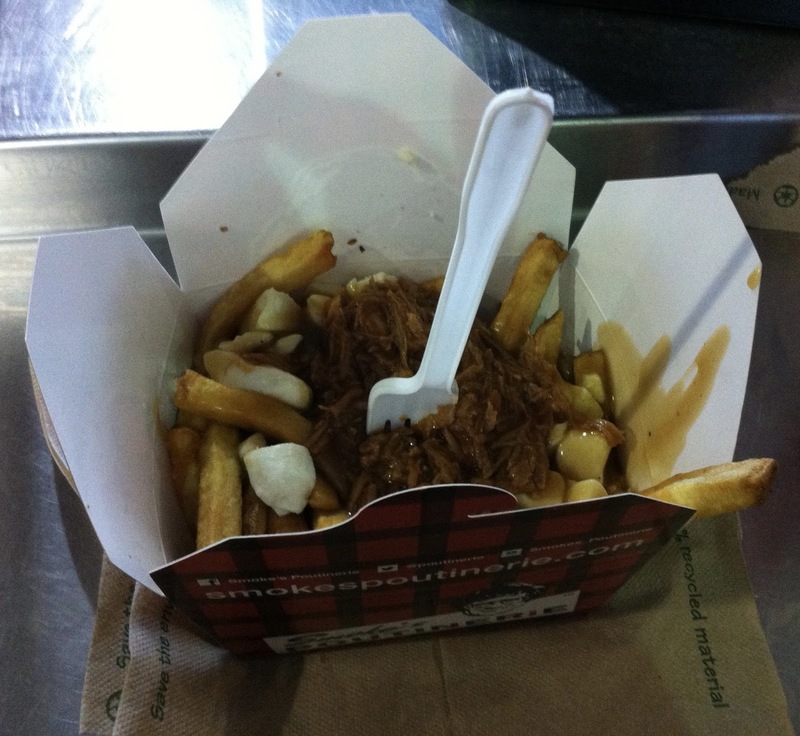 My dinner would be a DELICIOUS helping of poutine, covered in pulled pork - quite possibly, the best "in-arena" food I've had since I started these trips. Ottawa vs. Montreal on a Saturday night. Just as I had hoped, the atmosphere inside was electric, right from the opening faceoff. Loud gasps could be heard with each scoring chance, no matter which team was on the offensive. When Ottawa's Jean-Gabriel Pageau opened the scoring with eight minutes remaining in the first period, the place went nuts. That fever pitch continued moments later when popular Senators tough guy Chris Neil got into a fight with Montreal's Mike Brown. Curtis Lazar would give the home team a 2-0 lead, as this tightly-contested matchup reached the second intermission. The third period would only see the onslaught continue as goals by Marc Methot, Alex Chiasson and Mika Zibanejad sent the crowd into a frenzy. 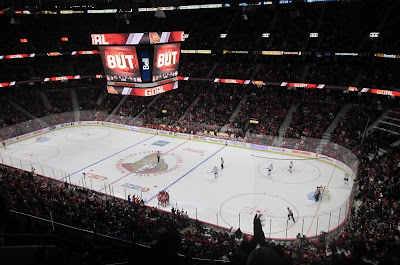 The fans were beside themselves with joy, watching the Sens skate away with a 5-0 victory. This was a fun night, and one of the more memorable games I've had the pleasure of witnessing - and I met Spartacat!! Sunday started early, as we set off on our 2-hour voyage to Montreal. 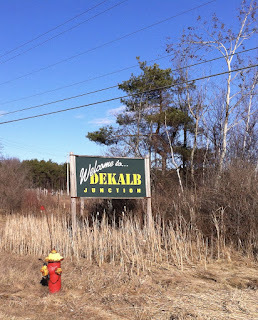 Thankfully, it was a little warmer on this day (which isn't saying much), and we arrived with strong appetites just in time for lunch at our chosen destination: the famous Gibeau Orange Julep! Fully nourished, we headed to our Airbnb location but ran right into a massive St. Patrick's Day Parade that had shut down most of the downtown area - we eventually checked in, but had to quickly hurry out to see some landmarks while we still had daylight to burn. Our first stop was the Biodome, where we spent hours observing various habitats and the creatures who inhabit them. 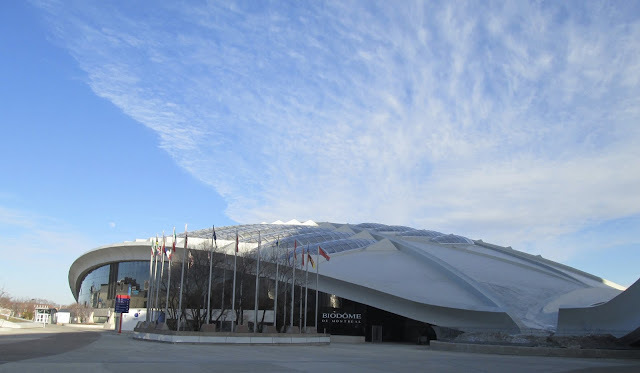 Situated in Olympic Park (which also includes Maurice Richard Arena and Olympic Stadium, former home of the Montreal Expos baseball team), the Biodome offers fun for all ages and I cannot recommend it enough. 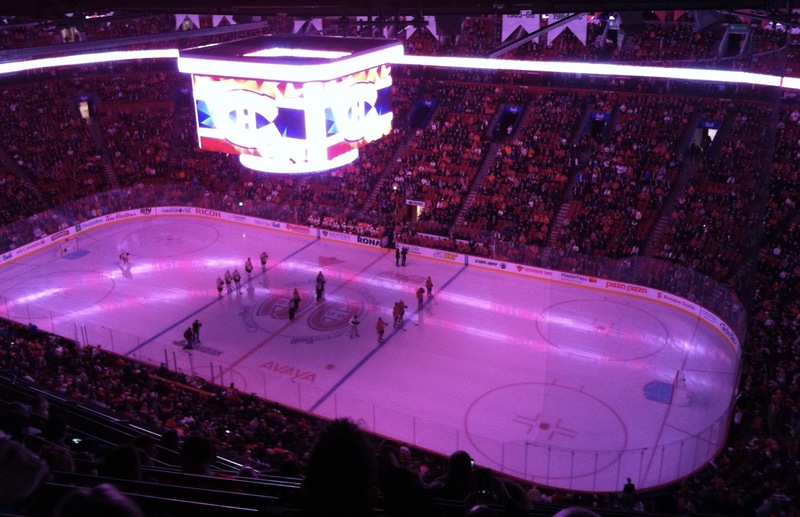 By now, dusk was setting in and we had to get to Bell Centre for tonight's game - another all-Canadian matchup was in store, as the Calgary Flames were in town to play the Canadiens. Once inside, Chad and I made our way around the winding concourse, reading more about the team's legacy and grabbing two pictures: one with a sign depicting my favorite player, P.K. 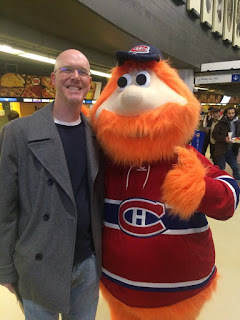 Subban (who unfortunately missed this game with injury); and the other with their lovable mascot, Youppi! By contrast to the excitement of last night's game, this was the polar opposite as Montreal was winding down a miserable season, as injuries to star players like Subban and goaltender Carey Price left the team in disarray. The Flames took advantage of their hobbled foes, and jumped out to a 2-0 lead in the second period, on goals from Joe Colborne and Sean Monahan. The third period would not provide any relief to the Habs, as Johnny Gaudreau extended the Calgary lead, before Monahan's second tally of the night gave the Flames a four-goal cushion. 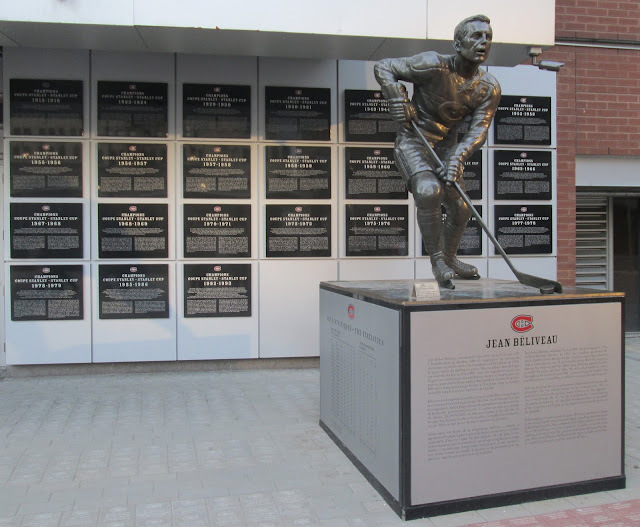 Montreal rookie Michael McCarron would add a late goal, but the air had already been sucked out of the building by the time the Flames left with a 4-1 victory. It was a bit disappointing, and I feel like I missed out on what should have been a great NHL experience, but those are the breaks. We wandered out into the cold Montreal evening, casually drifting through the downtown streets before ultimately winding up at Foonzo, a fantastic basement bar that had old-school video games available for customers to enjoy. Chad and I sat down by the Nintendo 64 gaming system with copies of Mario Kart and GoldenEye, and spent some time reliving old memories before returning home. 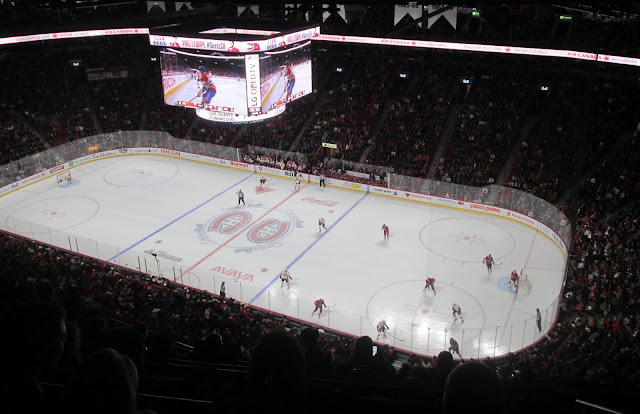 As it turned out, our final day in Montreal would be the only day of the trip that did not find us watching a hockey game in person. 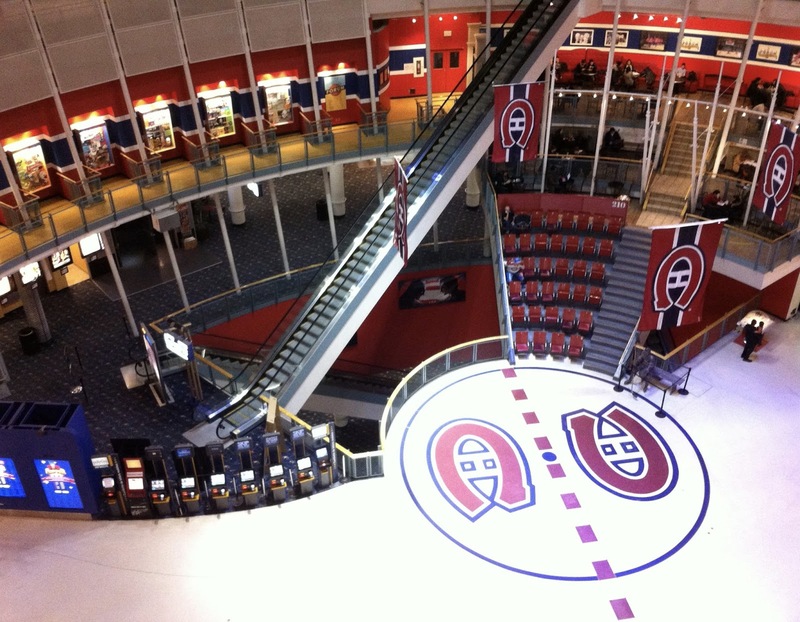 We started out with a visit to the Montreal Forum - the legendary hockey arena has been converted into a shopping center, though it still retains some of the charm due to a seating area containing chairs from the old barn, as well as exhibits detailing the history of the venue. It was a fun way to start the day! From there, we would spent the rest of our day traversing the city by subway, coming above ground to observe the various sights and local flavor: we marveled at the famed architecture in Old Montreal; we walked around Saint Helen's Island and were amazed by the Biosphere; and, following the recommendation of sportscaster Jeff Marek, we ate dinner at Hurley's Irish Pub. It was a full day, and our exhaustion was so great that we returned home just as it began to get dark, and promptly crumpled onto the couch and relaxed for the rest of the evening. Tuesday would be an even longer day of driving. We crossed back into America early in the morning, driving through Vermont along Lake Champlain. 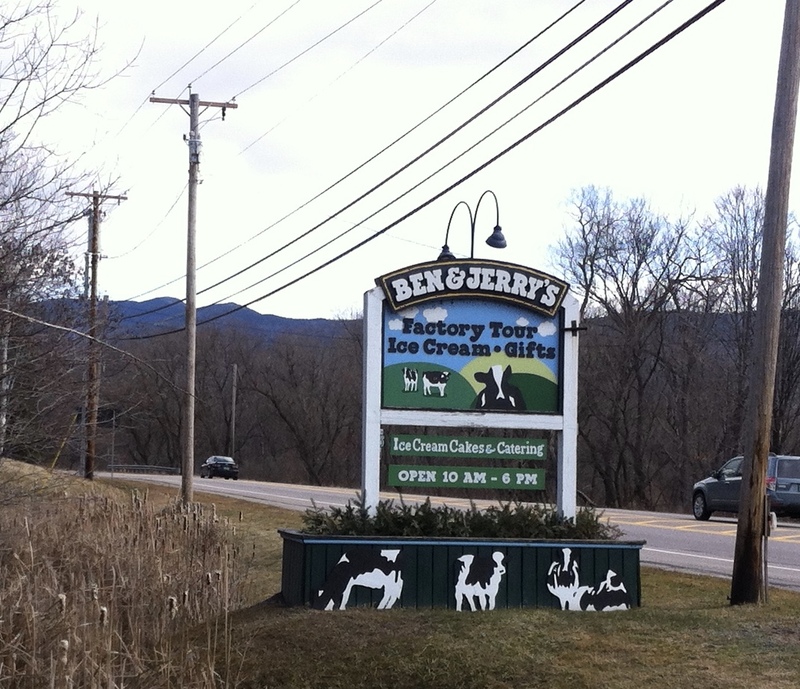 Our first stop of the day would be the city of Waterbury, home to the headquarters of both Ben and Jerry's Ice Cream and Green Mountain Coffee. 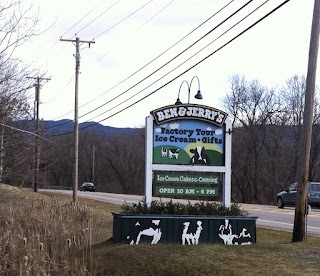 We started at the popular ice cream factory, which featured a 30-minute tour highlighting the various flavors that were produced in their facility - the free samples at the end were the perfect touch, and a great start to today's adventure. 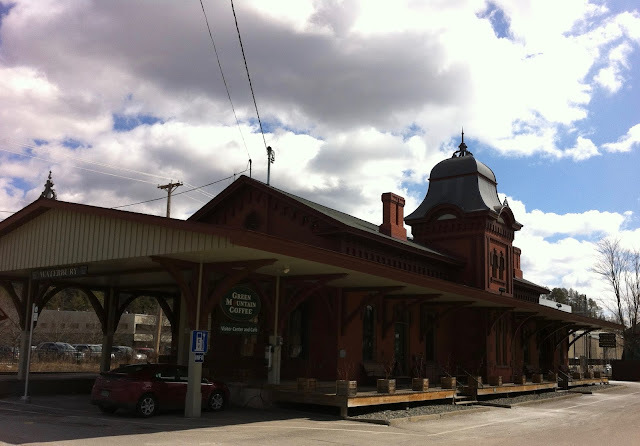 Just on the other side of Waterbury, the Green Mountain Coffee Visitor's Center offers free samples of their array of beverages, as well as a detailed outline of their workflow - and it's all located inside of a restored train depot! Buzzed on sugar and caffeine, we hopped back in the car for another 3-hour drive through the scenic Vermont countryside, emerging in the New York state capital of Albany in late afternoon. Thankfully, we arrived while the Capitol Building was still open, though we missed the last tour of the day and had to walk around on our own. 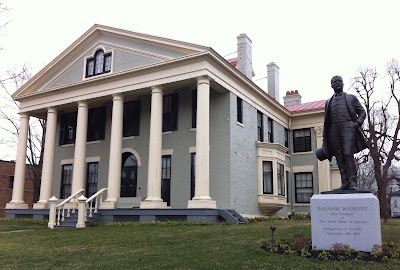 It's a very beautiful building, dating back to the late 19th century, and features several exhibits devoted to the history of one of the oldest states in the union. We even got to peek in while the State Senate was in session and watch them work! We then grabbed a quick dinner and walked over to Times Union Center, home of the AHL's Albany Devils. It's always nice to see a hockey arena in person, but this was not the best night for this particular visit - Devils attendance wasn't great to begin with (the team would relocate to Binghamton before the next season, in large part to these attendance issues), and this weeknight matchup saw the home team face off against the Springfield Falcons in front of a sparse crowd that couldn't have numbered more than 800. But we made the most of the evening and got to meet their mascot, Devil Dawg, just before we left during the second intermission. A quick pit stop at Dairy Queen set off another lengthy drive, this time covering 150 miles to our hotel in Lake Placid, where the second half of our trip would begin in the morning. There must have been a hockey tournament taking place, as this sign was posted on all of the doors when we arrived.